Retro Computing on the TI-99/4A can be a blast from the past for many of us, but nothing can ruin the experience faster than blurry, distorted or snowy images. Are we really going to dump hundreds of dollars into re-acquiring old equipment, as well as the cool new toys coming out, only to view a crappy picture over some lousy old TV or monitor? Heck NO, and we don't have to, because as many of us in the community already know, Matthew Haggarty came to our rescue with the truly affordable F18A Video Enhancement board. Among Atari Age users, the F18A is now the most used video output device for the TI-99/4A! Over the past year, I've read about numerous TI systems that have developed different video issues. The F18A card fixed all of these problems, without the owners having to waste literally hours trying to diagnose and identify the specific video chip at fault. They also avoided the hassles of removing the old broken components. Since this is a socketed device, it's a fix even a newbie with no soldering skill can perform. Yep! The F18A will display 80 columns in programs like the Multiplan, BOOT, 4A/DOS, the Tursi modified BA-Writer and many more. With the sheer numer of F18A's out in the wild, it's become the de-facto standard. I'm hoping more stuff becomes available for it in the coming years. 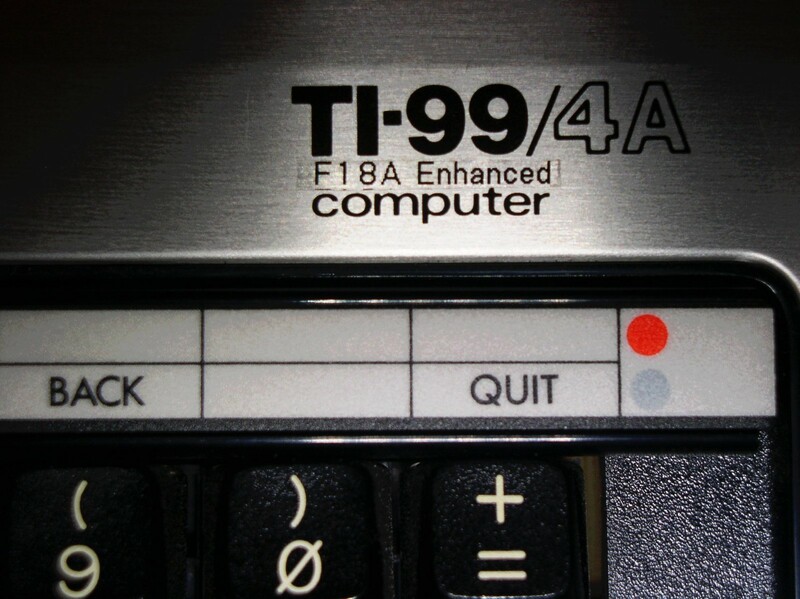 This is the #1 upgrade for the TI-99/4A. (IMHO) Everyone can can gain from this device, from the lowly newbie or returning user with only the basic console, to the rabid TI zealot with a totally over-blown and radically expanded system. If you've not yet purchased one of these for your TI, there is only one question that needs asking... What's taking you so long? It's time you get in on the enjoyment. Also... the future has some COLOR in it! << CLICK HERE >> for more information about VGA to HDMI converters. The creator/manufacturer no longer appears interested in making the F18A device, no matter how many people still want to obtain one, even knowing that 'someday' a new device 'might' hit the market. He has designed a replacement device, but it's been plagued with potential licencing issues. In the mean time the hobbyist has been essentially left high and dry. You mean like this anonymous kid in the photo I found on the Internet? Sorry to hear that the F18A is no longer available. I snoozed, I loosed! Maybe someone else will carry the torch. stop. The F18A IS available. The NanoPEB is not longer available. It appears the maker has started making the NanoPEB's again after a long discontinuation.